Download the remix pack (terms & conditions included in pack) via the Original Remix Contest Page. – Genres/Style: Preferably similar to the genres/style of the Emergent Shores imprint, which means: Deep Progressive, Progressive/Melodic House, Deep House, Melodic 2.0 and Chillout/Electronica. – Besides using the original sounds from the supplied audio parts you can use your own sounds BUT: (Do not infringe anyone’s copyright: only use your own material or royalty free/creative commons licensed material). – Please go through the Terms & Conditions (located inside the remix pack) before you send your entry. 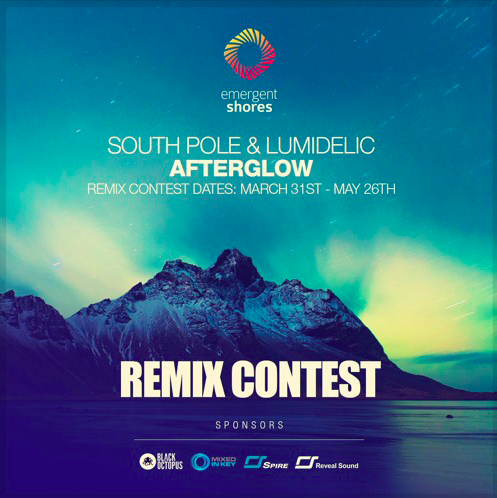 – Once you have read the terms & conditions, upload your remix onto your own soundcloud account, then email a PRIVATE link of your upload with ‘Afterglow Remix Contest’ in your subject line to contests@emergentmusic.ca to enter the competition. – DO NOT post your remix online anywhere for others to download, otherwise your remix will be disqualified and removed. 1st Place Winner will receive our ‘Grand Prize’. 2nd Place Winner will receive our ‘Runner-up Prize’. ‘GRAND PRIZE’ – The first part of our grand prize is the jaw-dropping “Master Collection” from the brilliant and generous minds over at Mixed In Key, which features 6 of their standout programs including: Mixed In Key 8, Platinum Notes 4, Odesi 2, Beyond Beatmatching, Flow 8 Deck and Mashup, a truly massive collection for any seasoned or aspiring Producer / DJ. The second part of our grand prize comes from industry titans Reveal Sound, who kindly donated a full NFR License for their award-winning synth ‘Spire’, as well as their ‘Reveal Sound 6-in-1 EDM Bundle’, a truly massive collection to add to anyone’s studio arsenal. For the final part of our grand prize we have the amazing support of Vancouver Island based sound production & education company Black Octopus, who have generously donated their flagship sample pack ‘Leviathan’ (featuring over 5000 sounds), as well as the lovely Siren Pack by Veela. 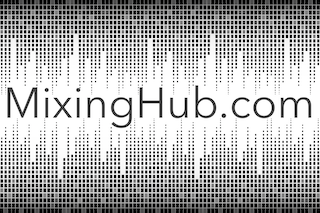 These are certainly some incredible additions to bulk up anyone’s studio instantly from this leading purveyor of sound production samples and more. The winning remix will be part of the full release for the original track and contest winners, coming later this summer. ‘RUNNER-UP PRIZE’ – Our runner up prize will include the Siren Pack by Veela, generously donated by the amazing folks at Black Octopus, as well as having the winning remix be part of the full release for the original track and contest winners, coming later this summer.